Home / Ace • Autograph Deal Of The Week / Autograph Deal Of The Week! 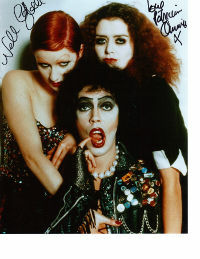 A Rare Signing With Tim Curry! Plus Lance Henriksen! Max Brooks! And More! Autograph Deal Of The Week! 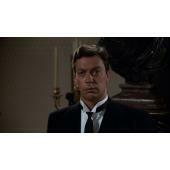 A Rare Signing With Tim Curry! Plus Lance Henriksen! Max Brooks! And More! I love the autograph deal of the week! Ace has put together an awesome list this time. 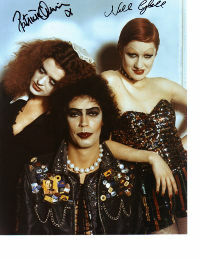 First and foremost, there’s an amazing opportunity to get a hand signed Tim Curry photo! he’s doing a private signing for the folks at the Hollywood Show. It’s a really rare opportunity and you can get a signed photo for $50.00. The moment every cult classic fan has been waiting for… Tim Curry is doing a ONE TIME signing with the Hollywood Show! 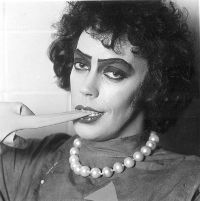 Tim Curry has agreed to do a private signing for the Hollywood Show! This will take place this coming Wednesday on November 27th 2013. He has told us that he will NEVER EVER make a public appearance at any show. This is a ONCE IN A LIFETIME opportunity for you all. We will not be accepting any mail in items. Please contact dave@hollywoodshow.com for more info about this rule. And the next deal of the week is an amazing opportunity from DARK DELICACIES. 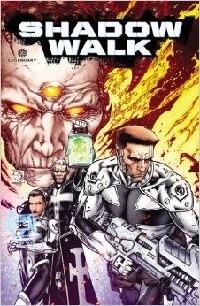 Dark Del is one of my favorite store’s guys… In the Month of December, they are offering signed graphic novels by Max Brooks (WORLD WAR Z) as well as one from Lance Hendrickson (ALIENS)! 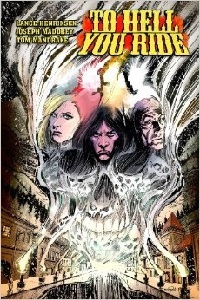 Ensure your graphic novel now with a pre-order to Dark Delicacies! On December 18th at 7 p.m., Lance Henriksen and Joe Maddrey signing To Hell You Ride (graphic novel, hardback). On December 12th at 7 p.m., Max Brooks and Mark Waid signing their new graphic novel, Shadow Walk (hardback). You crazy fans better put your order in now! Ace Checks Out The Jeepers Creepers Blu Ray Autograph Signing At Dark Delicacies! Meeting Victor Salva! Michael Berryman! And More! Autograph Deal Of The Week! Tori Amos Signed Tourbooks! Wyclef Jean! WWE’s Mick Foley! And More! Autograph Deal Of The Week! Meghan Trainor Signed CD’s! Air Supply! Under $20 Bucks! 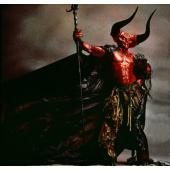 I already placed my order for Tim Curry. Bummed he isn’t making a public appearance, but I can understand he’s reluctant to after recent health issues.